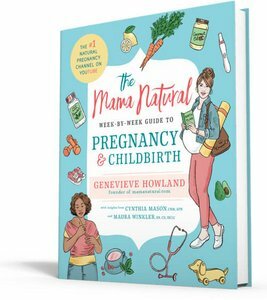 Genevieve is on a mission to help mamas have better and more natural births, and now she’s taking things to the next level with a beautiful new book, The Mama Natural Week-By-Week Guide to Pregnancy & Childbirth. 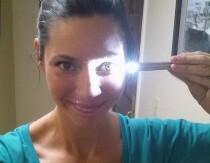 Today, she’s sharing some simple things a mom can do to increase her odds for a natural childbirth. It’s one of the great mysteries of childbirth: How will I squeeze something the size of a watermelon out from between my legs without being split in two? The short answer is that your body is capable of miraculous things. One way or another, you will deliver that beautiful baby of yours. The longer answer is that childbirth is a marathon. And just like you’d want to get out for a jog or two before running 26.2 miles, you’ll want to train your body, mind, and spirit for birth. 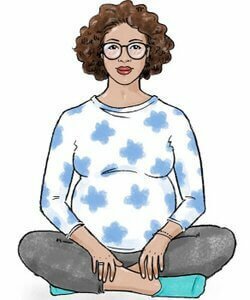 Whether you’ve just started playing around with a due date calculator or you’re already in your third trimester, here are 8 things you can start doing today to increase your chances of having a natural childbirth. 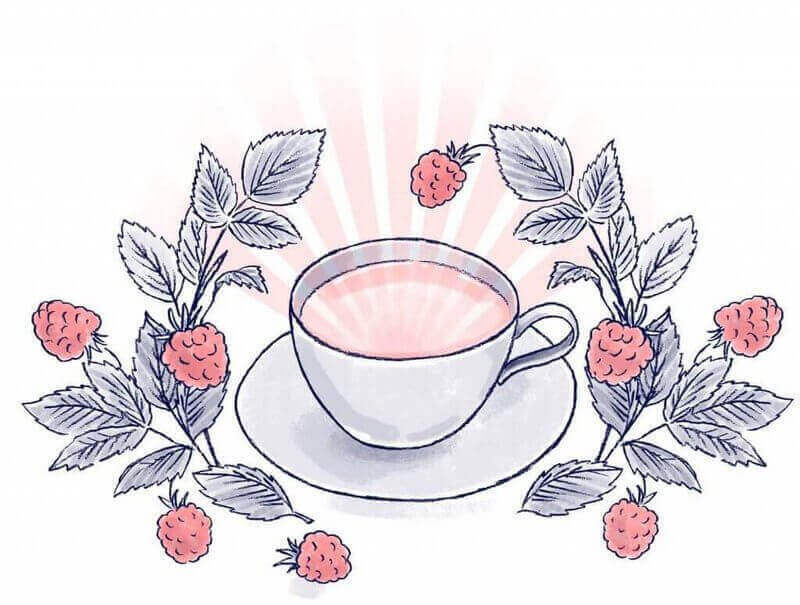 If you talk to virtually any midwife or doula, you’re practically guaranteed to hear about the miracles of red raspberry leaf, an herbal tea that’s been used for thousands of years to support respiratory and digestive health and—here’s where things get really interesting—to ease and shorten labor. If that sounds too good to be true, there are some studies to back up these claims, including one published in the Australian College of Midwives Incorporated Journal, which suggested that women who drank the tea were less likely to need forceps, vacuum assistance, or require a C-section. Keep in mind that most healthcare providers will recommend waiting until the second trimester—there is a slight concern (though no actual scientific evidence) that drinking the tea too early could increase your risk for miscarriage. Check out this wonderful DIY pregnancy tea recipe that features red raspberry leaf. If I told you there was a particular food that’s associated with a lower risk of induction, premature rupture of membranes, and the need for Pitocin to boost contractions, you’d eat it—right? How lucky are we that this labor-inducing superfood isn’t, like, mayonnaise? Or turnips? Or goat brains? Even more recent guidelines treated mamas-to-be with kid gloves: In the 1980s and early ’90s, we were told not to let our heart rate exceed 140 beats per minute, because it was thought that strenuous exercise would divert blood and oxygen away from the baby. Turns out, that’s not true, either—the American College of Obstetricians and Gynecologists removed the recommendation from their guidelines back in 1994. And the best news is that you don’t have to join CrossFit or sign up for high-intensity spin classes to reap the benefits: just 30 minutes a day of moderate exercise is enough for most women. So get out there and keep moving, mama! In conjunction with staying active, you’ll also want to take good care of your pelvis. 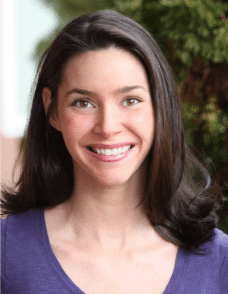 Sounds weird, I know, but you want a balanced and relaxed pelvis in preparation for birth. These postures can compress the pelvis, narrowing the passage through which baby will eventually travel on his journey to meet you. They also encourage improper alignment, which can make a natural birth not just difficult and more painful, but perhaps even impossible. Regular chiropractic care from a Webster-certified practitioner can do wonders. Other moms swear by acupuncture, prenatal yoga or other pelvic exercises. Here are 7 easy pregnancy exercises that can help keep your pelvis limber and prepare those muscles for childbirth. Throughout history, mamas have been delivering babies with the guidance and encouragement of other women, experienced birthers trained to offer physical and emotional (if not medical) support. Today, we call these wise women birth doulas. less likely to birth via Cesarean, and less likely to have negative feelings about childbirth. Furthermore, babies born under the care of a doula are more likely to go full-term and to have higher APGAR scores. Some studies have shown that laboring in a clinical setting—like a hospital’s standard maternity ward—can undermine a mama’s confidence in her ability to give birth naturally. Doulas, however, can give Mama that confidence back. Seriously, if I had to boil this list down to just one tip, it would be: Do whatever it takes to get a doula. If you’re having a homebirth, skip on down to the next item. If not, stay at home as long as possible during labor. This is where having a doula at your side is so helpful as she’ll tell you when it’s time! If it was up to me during my first birth, I would have gone to the birth center at 2 centimeters dilated. But my doula helped me wait it out, and I arrived at 7cm. Of course, you never want to push it so late that you’re putting yourself or baby in danger. In general, midwives will advise you to follow the 4-1-1 Rule. 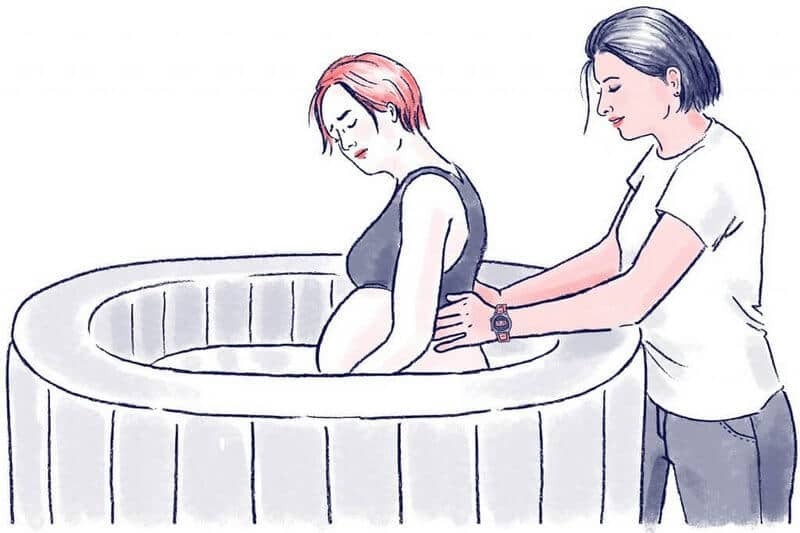 Water births are on the rise, and for good reason—a Cochrane review of existing studies confirms that immersion is not only an effective pain-relief technique, but that it actually reduces the need for an epidural. 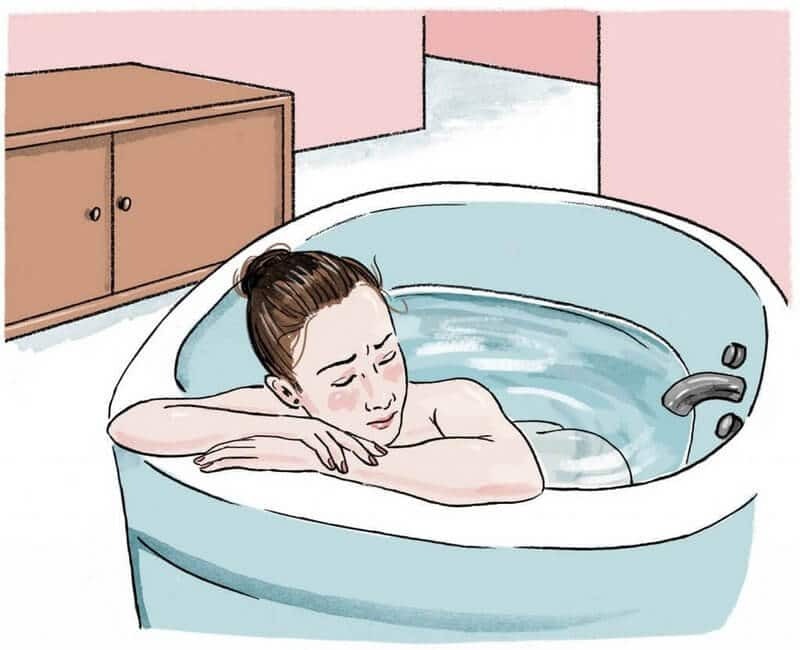 But there are some benefits associated with hopping in a birth tub other than pain relief: The buoyancy helps keep you in an upright position (so that you’re working with gravity, rather than against it), as well as eases the feeling of pressure. A warm bath is also relaxing; the less tense you are, the less likely you are to secrete fear-based hormones that might stall your labor. Not planning a water birth in your living room? No worries! You can still reap the benefits of hydrotherapy. I spent a long time in the shower during my first birth, letting the water beat down on my back, which helped considerably. You might also try sitting down on a shower stool and directing the shower head where you need the most relief. In any birth class worth its salt, you’ll hear about “breathing” as a way to cope with the pain. And I’ll be honest: I used to categorize that right alongside leprechauns and fairies—which is to say, I figured there’s no way that breathing, of all things, could possibly help me in the heat of labor. I’ve been proven wrong, though—not only by my own experience, but by a boatload of medical research. A study from St. Joseph’s Hospital and Medical Center, for example, found that women with painful conditions such as fibromyalgia experienced less pain when they focused on controlled breathing at a slow rate. (Why? Probably because focused breathing calms the sympathetic nervous system, which is responsible for—you guessed it—pain.) On the flip side, other studies have demonstrated that focused breathing actually increases our pain threshold. Your breath has a rhythm that’s actually quite similar to a birth contraction. There’s a peak (the top of inhalation) and then a release (exhalation). If you can stay “on top of your breath”—that is, stay in charge of the pace of your breathing—then you’ve got a good shot that your labor will be manageable. There are plenty of breath patterns you can learn about and research, but I think simplest is best: steady inhale through your nose for a few seconds, steady exhale for a few seconds. Try breathing consciously for at least 5 minutes each day (right before bed is a great time to do this). Notice how relaxed you feel? 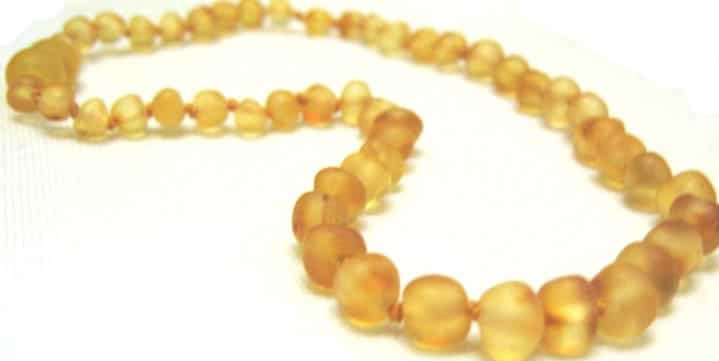 With regular practice, you can carry this calm and centered breathing into your birth. I’ve just published the first week-by-week pregnancy guide from a natural perspective. 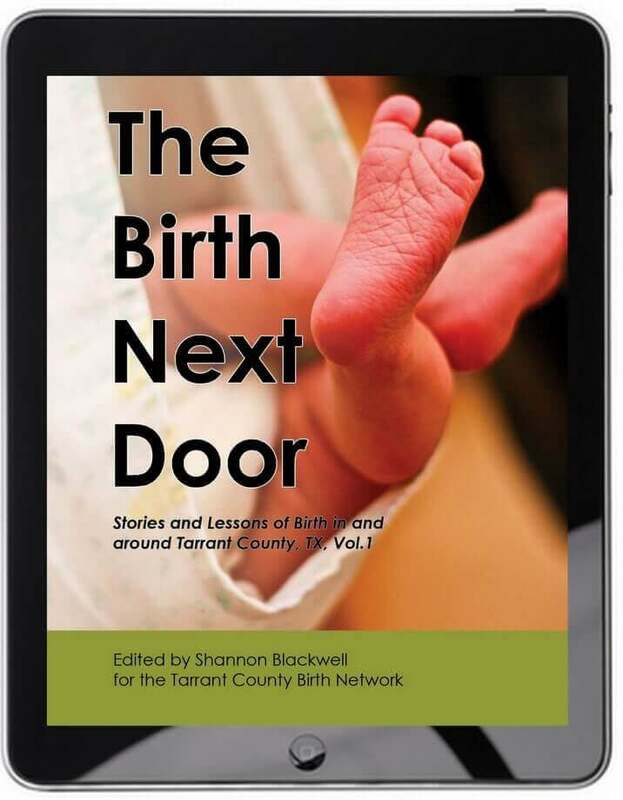 It features insights from a certified nurse midwife (who happened to deliver both of my children), as well as a registered nurse and doula. 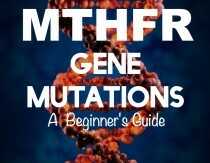 This 500+ page illustrated book is comprehensive, evidence-based, and empowering. It’s available now on Amazon and Barnes & Noble. Or the importance of eating during labor!!! But in order to get into mainstream retailers, we need to show those stores that there is a groundswell of people wanting a more natural approach—and a demand for this game changing book. Hofmeyr, G. J., V. C. Nikodem, et al. 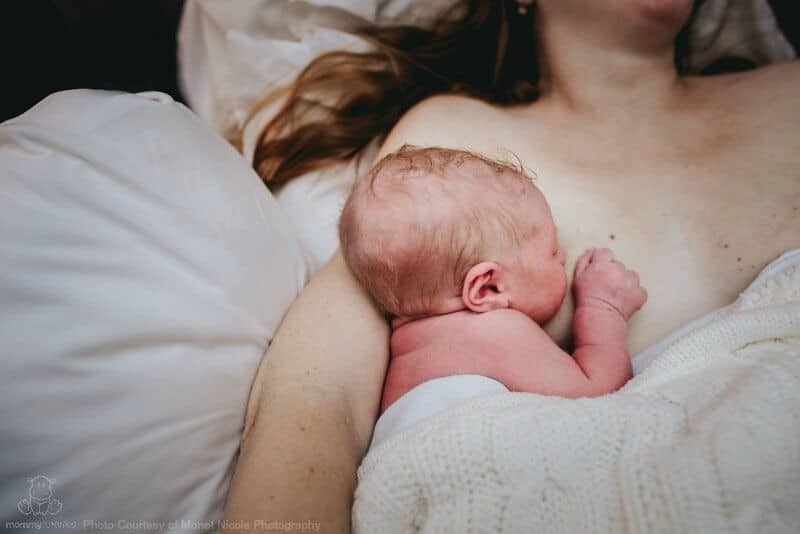 “Companionship to modify the clinical birth environment: effects on progress and perceptions of labour, and breastfeeding.” British journal of obstetrics and gynaecology 98(8): 756-764. Gruber KJ, Cupito SH, Dobson CF. Impact of Doulas on Healthy Birth Outcomes. The Journal of Perinatal Education. 2013;22(1):49-58. doi:10.1891/1058-1243.22.1.49. Cluett ER, Burns E. Immersion in water in labour and birth. Cochrane Database Syst Rev. 2009 Apr 15;(2):CD000111. doi: 10.1002/14651858.CD000111.pub3. I loved it! 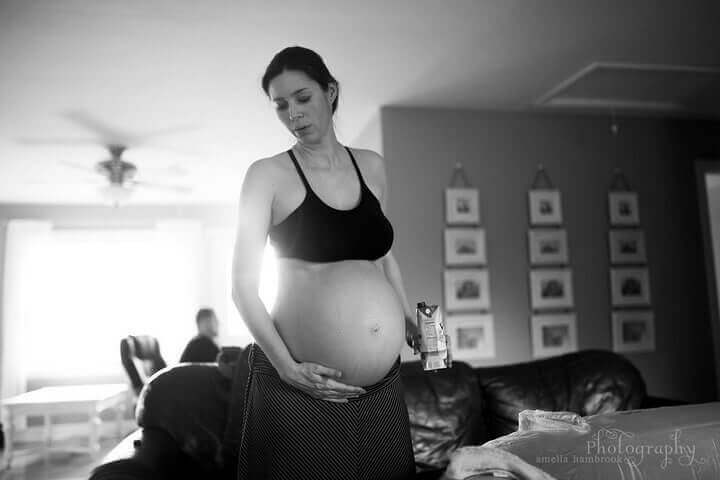 I had contractions for 36h all together (‘THE’ contractions, plus 4 days of Braxton-Hicks). I was in labour for 5h and the final part took me less than 10min. It was painful as hell, but it was the happiest moment of my life. 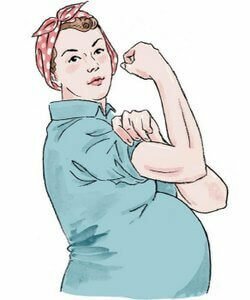 My midwife said that all of these things (staying active/ eating dates) help a lot, but the main factor is how is the baby positioned. And here even cm matters. 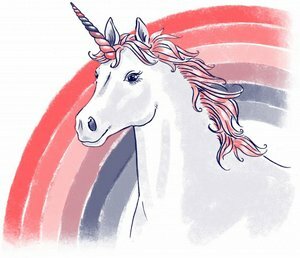 This is a great article! Thanks for sharing! But please don’t promote someone who suggests RIC or Routine Infant Circumcision might be natural or in any way the right thing to do to a baby. I’ve read that section and I know Genevieve personally, and it was not at all my takeaway that she is recommending RIC. From my perspective, it seems to me that her intent was to gently inform without putting parents on the defensive. I know she has already released a statement saying that she feels like she missed an opportunity in that section and will be expanding it to focus on the benefits of keeping boys intact, and I very much look forward to reading it.